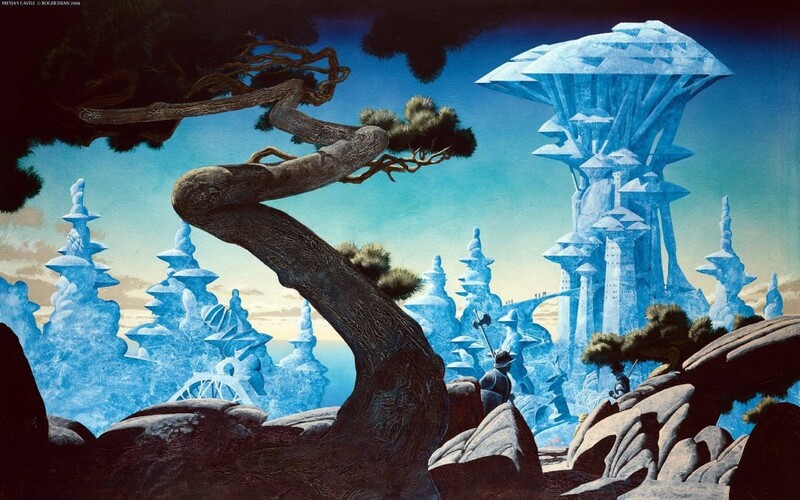 Roger Dean is Keynote Speaker at The Representational Art Conference 2019, in Ventura, California – 31st March – 4th April. 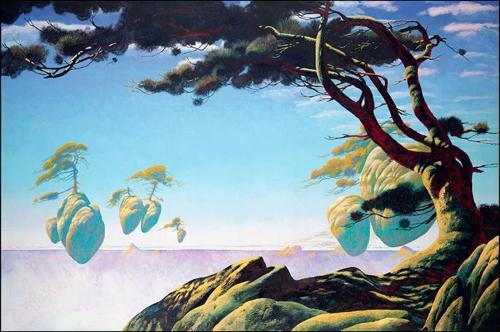 Roger Dean is perhaps the most acclaimed illustrator and designer of his generation. Over 60 million images of his work have been sold, and he has designed everything from album covers and books to posters, cards, calendars and furniture, as well as video games and theatrical stage sets. 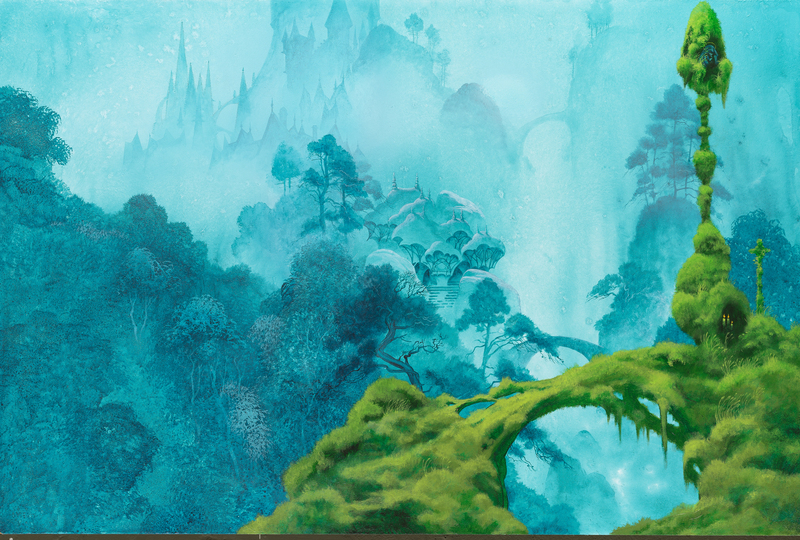 His signature style of atmospheric fantasy art is instantly recognizable and constitutes a genre all its own. Dean studied silversmithing and furniture design at the Canterbury College of Art. There he began to question the rectilinear canon of modern architecture and the form follows function doctrine. In 1965 he enrolled in the Royal College of Art to continue to study furniture design under Professor David Pye. Dean challenged the parameters of functional design through research into the psychology of architecture. Exploration of organiform structures informed his practice, and it was during this period that Dean designed the iconic Urchin Chair, which is now a part of the permanent collection of the Victoria and Albert Museum in London. Dean has been the most sought-after album cover designer of the last five decades. He has created some of the most memorable art of the genre for some of the most successful bands of the era, including Yes, Asia, Budgie, Uriah Heep, Gentle Giant, as well as solo albums from various musicians. Five of Rolling Stone’s Top Twenty Album Covers of All Time were created by Dean, more than any other artist. His visionary imagery was particularly well-suited to the progressive rock aesthetic and he is closely identified with this style of music. His panoramic dreamscapes are primarily rendered in watercolor but he makes use of various media including ink, enamel, gouache, crayon and collage. Dean is an extraordinary calligrapher and his logo and font designs are an integral part of his signature style. Influenced by his love of natural history and Chinese landscape art as well as science fiction, Dean’s work is unique for its combination of acute observation and unrestrained imagination. He references terrestrial and aquatic forms while simultaneously creating otherworldly landscapes populated by organisms and geological formations that are distinct products of fantasy. 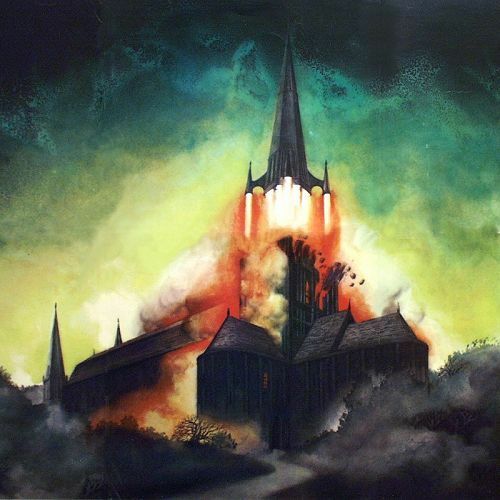 In collaboration with comic artist Michael Kaluta, Dean produced over 4,000 concept drawings for the Henk Rogers video game, Black Onyx, conceiving ideas for storylines, music, motion capture, and animation. Dean works with his partner and brother, Martyn Dean, and together they own and operate two publishing companies. 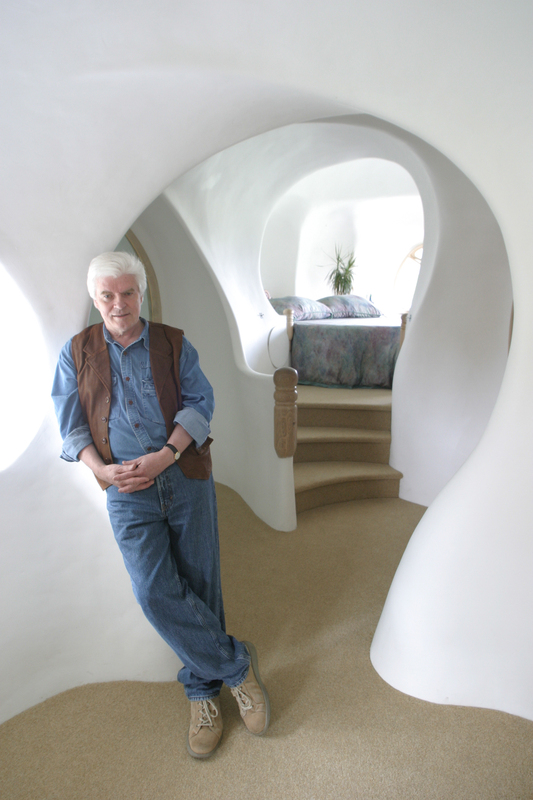 Dean continues to pursue his passion for ecologically sustainable human-friendly architecture, and his prototypes have been exhibited at the National Exhibition Centre in Birmingham. For the last decade, he has also worked on projects with his daughter, Freyja, designing costumes and sets for the 150th anniversary of the Puccini Festival. An artist who has been forward-looking for his entire career and who has kept up with developments in music, technology, and popular culture, Dean is a stubbornly optimistic futurist, always gazing down the road trying to imagine solutions to current challenges. His artistic design practice uniquely combines fantasy and pragmatism like perhaps no other artist of the era. Michael Pearce asked Dean about imagination. Mp: You’re known for having an exceptional imagination. How would you go about teaching imagination? Can it be taught? RD: It is possible to teach students how to ‘set the scene’ to enhance the probability and quality of the flow of ideas. There are many obvious techniques and procedures that contribute positively to this and probably an equal number of habits and ways of thinking that have a negative impact. All of these can be easily taught. At the core of the problem, there is something a little trickier, maybe even a little zen. The way of thinking that tackles a problem by systematic analysis is a poor tool when it comes to having breakthrough ideas. In fact, I would go so far as to say that rational thought, although a critically important part of the process, is the enemy of creativity in many ways. This is reflected by what writers mean when they say don’t combine creative writing with editing. Save the editing for a different time, place, and mindset. In his book The Nothing That Is, the mathematician Robert Kaplan questions the idea that abstract thought and imagination are rivals. It is very much my experience that thinking or overthinking does impede the flow of ideas. Thinking is slow. Niels Bhor the atomic physicist proposed his gunslinger theory in August 1925 when he said that when all else is equal, the gunslinger who draws first will always lose. This is because he is thinking the gunslinger who waits and reacts will be faster because the part of our brain that deals with reaction is much faster than the part that does the rational thinking. This theory has been confirmed at Birmingham University in recent years. This fast area of our brain is the part that is active when we daydream and when we are having ideas. In fact, it is working 30 percent harder when we are daydreaming than when we are, for example, struggling with a quadratic equation. We can know this by measuring heat. So the trick is to take as much of the conscious thought and anxiety out of the equation as possible. The challenge is to create a state of mind whereby ideas can flow. To achieve this, the processes are essentially indirect. As a brief aside, it seems that it is possible to come up with a specific idea on demand if the right state of mind is induced. The domestic telephone in its early years was made in two parts: the handset with the microphone and speaker, plus the stand with the dialing mechanism. The post office made an experiment where a volunteer post office worker was hypnotized and asked to come up with improvements. They designed a combined handle and stand so that a telephone could be picked up with one hand. This became the basis for all U.K. domestic telephones until the advent of mobile/cell phones. (A) Meditation of some form or another – calm is essential. (i) You train the hand so that in turn the hand can train the mind. (ii) You constantly practice so that you can act without thought. This does not mean that you act thoughtlessly; it means that you can act without the negative disruption of overthinking. (C) Anything that can take your mind off the mechanical task at hand. A conversation can work, as well as music or audiobooks. I put considerable effort into getting the optimum distraction when I am working. Although these procedures seem to be essentially about the work, this describes my design process when ideas are most needed. One of the tragedies of many educational systems, including art, is not the inability to develop the imagination, but the absence of the tools to realize the product of this imagination This is because the appropriate and easily taught crafts are ignored. In music and in the visual arts, physical skill is of fundamental importance. It takes a lot of time and a lot of application, with the ultimate aim being to perform at the standard desired without thought. An important consequence of developing the appropriate skills is that it enables the student to bring their ideas into the world. Most importantly, it is the actual process of practicing such craft skills that frees the imagination. Since I was a child, I have been asked, “Where do your ideas come from?” My response was to shrug and presume the question was unanswerable. That was pretty much my position throughout my college years (4 years at Canterbury College of Art and 3 years at the Royal College of Art), even though from my first year at college I had been subconsciously aware of and acting upon an answer. The breakthrough for me came very soon after I had left college and started working with a musician named Ramases. We were talking about a project in a coffee shop when a music journalist joined for an interview. The journalist’s very first question to Ramases was, “Where do your ideas come from?” Ramases’ answer was, “When I am sitting quietly like this,” and he put his hands flat down on the table and assumed a meditative pose. He then pointed over his right shoulder and said, “The ideas come from over here.” We all laughed, but I realized that there was a fundamental truth to what he had just said. This triggered a lifelong fascination with the creative process. In recent years, I have interviewed scientists, writers, musicians and artists on camera for their experiences. I do believe a person/student can be taught to create the circumstances where ideas flow. There is research to indicate that anybody can be taught to have not only an increase in ideas generally but to have specific and immediate problem-solving ideas. Having said that and adding that the processes can be reliable, the best solutions are indirect. Mp: Is your work based on reality? How do you work from real things? Do you ever work from photos? RD: My training was as a designer, and although I think of myself as an artist, I am a designer. The designer is posed with a challenge when they have arrived at the point where the work they have done is perceived as desirable. They ask, “Can this be real and what will it take to make it real?” To this extent, I would say that my work is based upon reality – but I also play. As a child, my first artistic ambitions were to ‘design the future’ and to draw and paint natural history subjects. That is still the case, as much of my work is about design and to the degree that they have to work. They are based upon real principles of structural engineering or otherwise. To some extent, however, they are an invention, something that does not yet exist in exactly the form of the design. Much of this spilled over into my painting. But in the context of your question, a great deal of the subject matter of my paintings comes from real things and places. I sketch all the time but I also take and work from photos and any other reference material that I have collected. 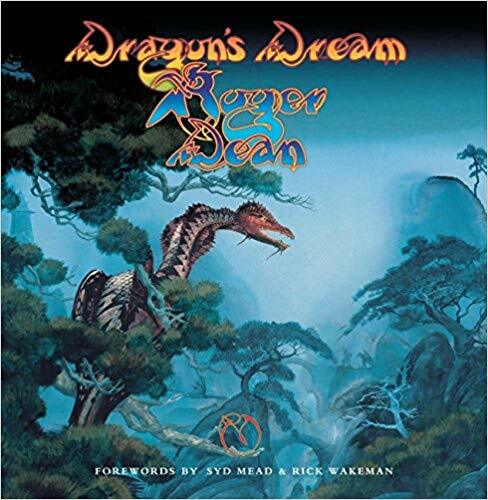 The cover painting of my book Dragon’s Dream is inhabited with Monterey Cypress trees from Point Lobos just up the Pacific Coast Highway from Ventura. They are all portraits of real trees. Mp: I first discovered your paintings through album covers you made for the band Yes. You’ve designed covers for them for decades. How has music influenced your art or affected the way you work? RD: I love all kinds of music from opera to rock. A great deal of my working life has been spent working with music, from designing covers and logos to designing stages. I don’t paint music; my inspiration usually comes from talking to the bands and trying to understand what inspires them. I love working with music and musicians of all kinds for many reasons, but I especially like working with people who value and respect craftsmanship and creativity in their own fields. 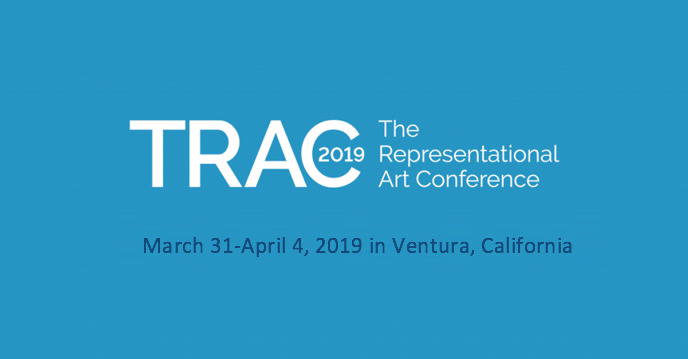 Join us at TRAC 2019 as Roger Dean shares his imaginative insights on the future and how aesthetics and design can facilitate a more sustainable and humane world for generations to come. 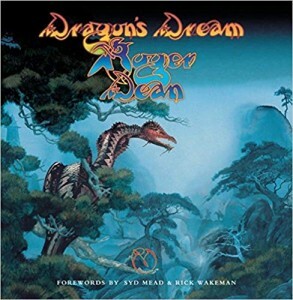 Click here to read Roger Dean’s “Dragon’s Dream” in TRACT Magazine.